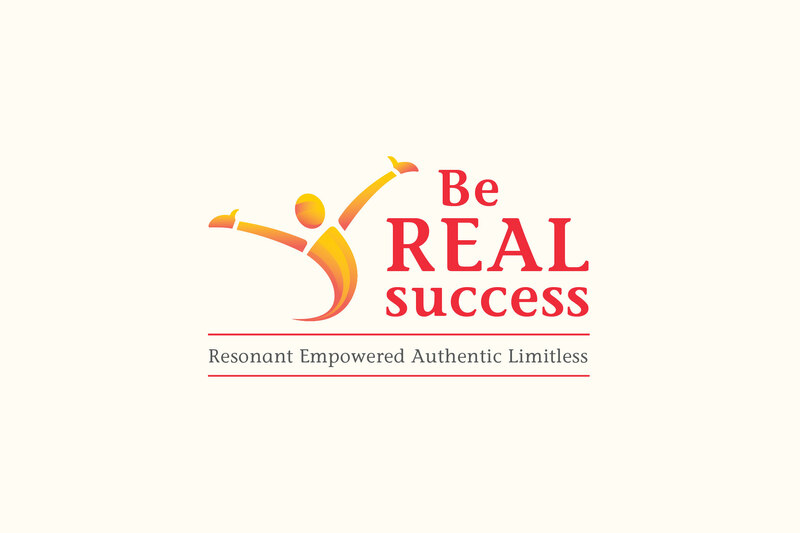 "Be Real Success" is a new division of "Dynamic Awareness". 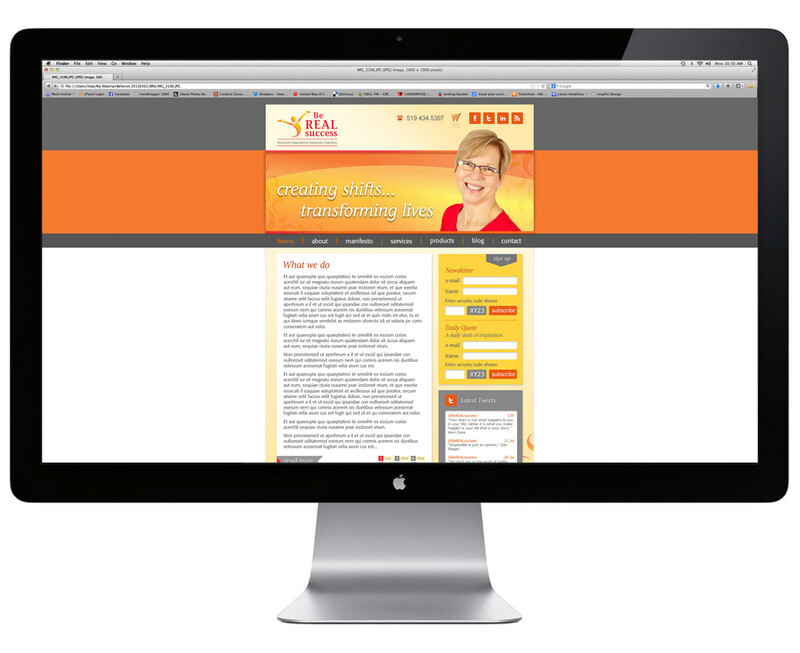 My client reached me with the need for a new branding theme, that was cohesive with the branding for Dynamic awareness, yet visibly different. 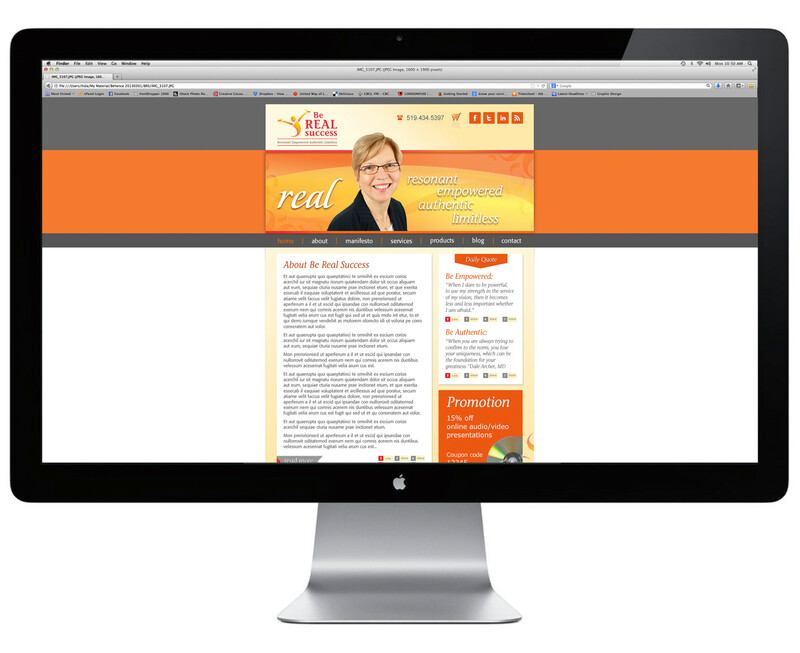 Be Real Success creates shifts to help people build unstoppable confidence, rediscover their “real self”, and live authentically, through business and life coaching. The audience for this new division of business are female professionals/entrepreneurs, mostly in the real estate and financial sector, who are 2-3 years into their business, and need help/are ready to take the lip to the next stage of their business. The branding therefor, had to show great optimism, energy, courage, confidence, and the aha moment. It also needed to be modern and professional, yet warm and inviting. The icon used for the logo is very similar to the one in Dynamic Awareness with slight differences to make it more dynamic. It is bolder and has more energy and vigor, which is captured by the use of warm tones and energetic colours, bolder typography, and layout of the elements. 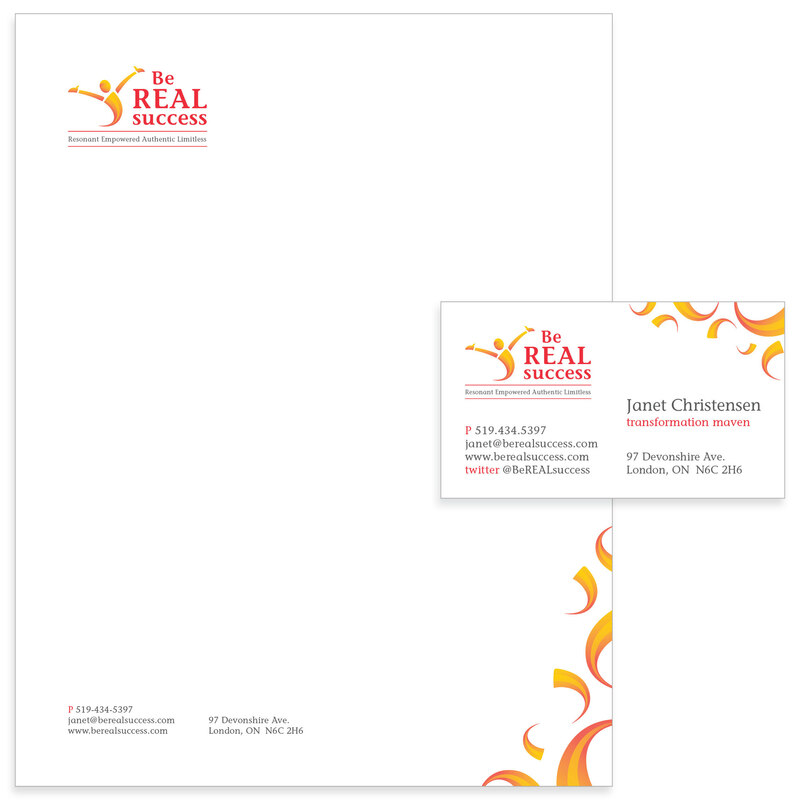 Logo, its elements, and colours then were used to create a matching set of stationery and GUI for the website of Be Real Success.